There are some people on Earth who eat to live and then there are those that live to eat; and in either ways there is a direct link between eating and ‘living’. If you look closely though, there is literally heaven and hell difference between the two expressions, which very sadly is overlooked in today’s context. More often than not, the people of the 21st century are inclined towards living to eat and there is not much that can be held up against their cause all thanks to the culinary delights that are made available at the drop of a hat. Fresher Organic Foods for Longer Life – With fresher fruits and vegetables your body is sure to receive a higher level of nutrient content which will eventually play its part in keeping your system free is deficiencies. This will go on to strengthening your system against environmental and physical impacts that play a part in accelerating the process of aging. Cooking, overcooking and indulging in frequent junk food are factors recognized for stealing years from your expected life span. Nutrition packed organic foods like apples, berries, avocado, broccoli, beans, whole grains and seeds can be mentioned as a few featuring at the top of the list. at the same time, it is imperative that you opt for organic produce because such options are free of harmful chemicals that are otherwise used in the form of fertilizers and insecticides. 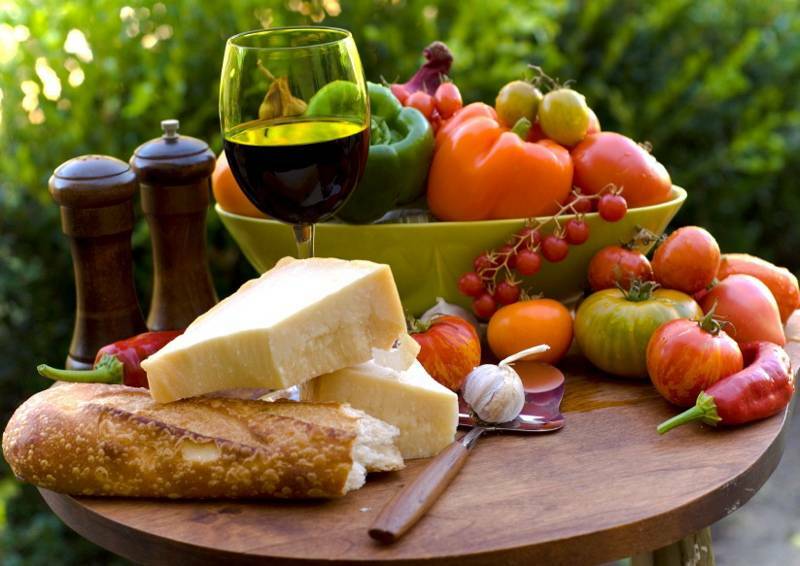 Try Mediterranean Diet – It has been seen through thorough research that people indulging in Mediterranean diet are more likely to live longer than those who don’t. This form of diet lays special emphasis on eating fresh fruits, vegetables, whole grains and fish and limiting the intake of processed meats and saturated fats. Mediterranean diet has a direct impact in improving the health of the heart to perfection while maintaining unimpaired functioning of all vital organs of the body to perfection. And this includes brain health as well. Calculated Indulgence – Eating for the sake of a longer and healthier life does not necessarily mean scraping off all the good that the world has to offer. Occasional and limited indulgence on the sinful side of the table like wine and dark chocolates can actually extend your life by a few good years. In a careful study conducted by a team of experts, it has been seen that people who ate dark chocolates at controlled amounts and a glass of red wine for a few chosen days in a week were less likely to develop heart conditions than those who refrained from indulgence completely.